Magnetic Door Locks are commonly called a mag lock. A large electromagnet is mounted on the door frame and a corresponding armature is mounted on the door, which then holds the door closed until released. 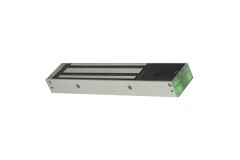 They require a power supply to operate, and are often included as a locking solution in an access control system. Mag locks are simple to install and are very attack resistant. Need help with Magnetic Door Locks? These are often referred to by their shortened name; 'Mag Locks'. They operate on the basis of an electromagnet, using electricity to provide a locked or unlocked state like an ordinary lock would via a key. We are proud to be able to offer unrivalled support in choosing your mag lock. Speak to our technical expert Darrel Walters if you need any help. 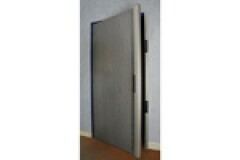 An Architectural Magnetic Handle is a unique locking solution for metal, glass or wooden doors. This consists of a housing that contains 2 powerful magnetic locks attached to the frame, then the arma..
Our S Range of surface mounted magnetic door locks can be fitted to glass doors and glass frames with the kits that are available from this section. We have included the magnets in this section that w..
On direct pull magnetic locks the magnet is the primary method of securing the door. Our range includes both single and double magnets as well as our unique S-Series magnetic locks that can give visua.. 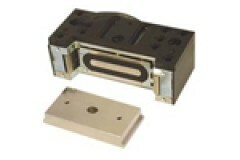 Magnetic Shear Locks bring an additional level of security to the standard MagLock. On Shear Magnetic Locks there are also pins on the magnetic lock which shoot into the aperture plate to give a.. Magnetic Locks can be used for external applications too, such as on a gate. 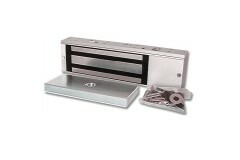 We have a range of Magnetic Locks here, all of which are suitable for use outside on gates and similar access points. These.. Here you'll find our range of fitting accessories designed for use with Electomagnetic locks. 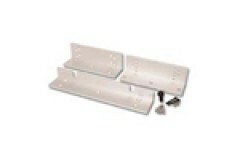 We've got fixing brackets and armature housings - if you require any assistance determining the correct op..